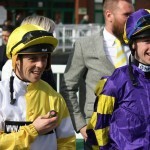 David Williamson talks to OnToAWinner. Q. How and when did you become the Executive Director at Newcastle Racecourse? Q. Can you tell us a little about your day to day role as Chief Executive and what it involves on a typical race day? 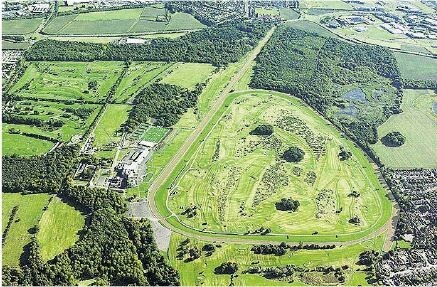 With an 812 acre Estate, Racecourse, Conference & Banqueting, Golf Club and Pub, my day is usually filled with managing the various areas and meeting the relevant Heads of Departments who operate the businesses within the High Gosforth Park Estate. 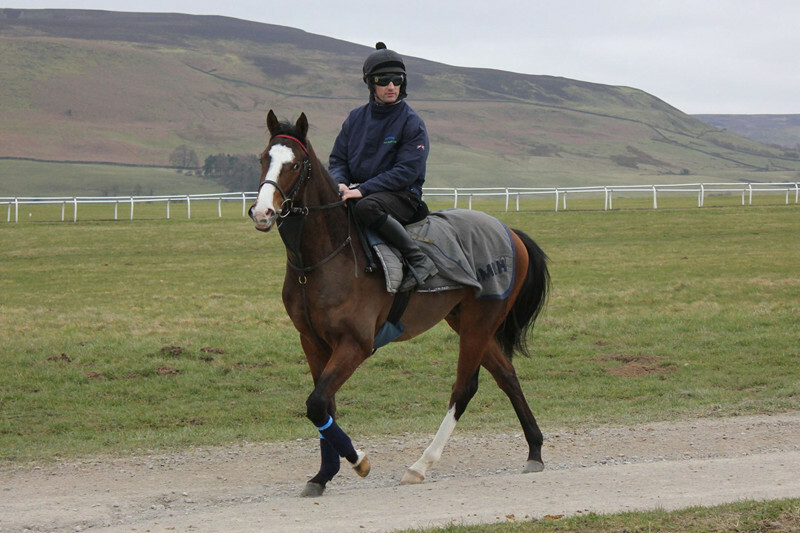 Meeting with clients, such as corporate partners, Owners & Trainers and Bookmakers is part of the role but I am working in an Industry that I regard as a hobby, so I am lucky and relish the role I have. 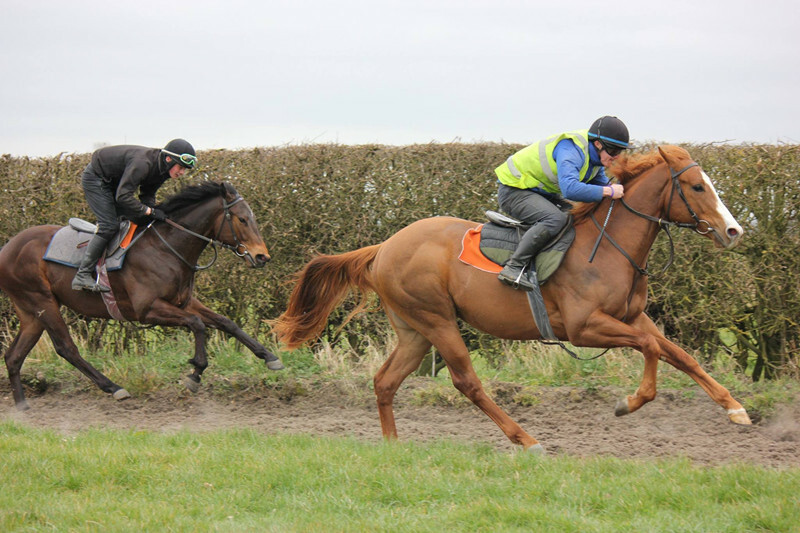 Building up to busy summer race meetings such as Plate and Ladies Day is also rewarding and at the moment we have a major development going on…………….that takes some of my time! Q. 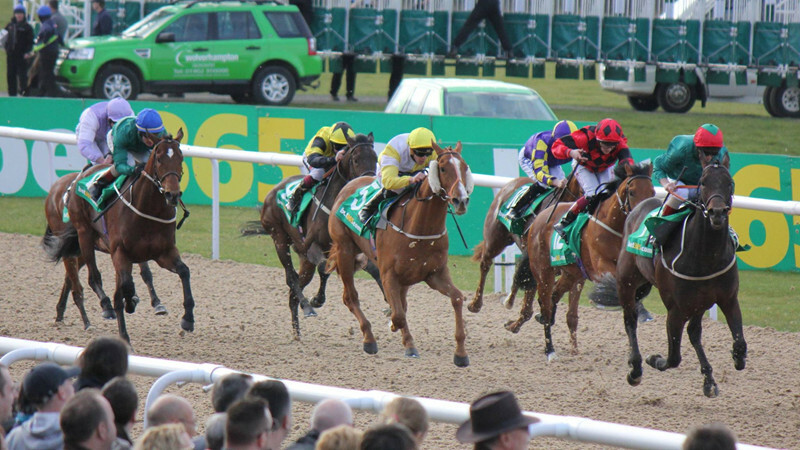 What do you enjoy most about working at the racecourse? Q. How is the all-weather track that is being laid at Newcastle coming along? We are on schedule to complete late March with the Tapeta surface being laid as we speak and the last of the 44 floodlights being lowered into place. We will have a few snagging and remedial works to complete but our contractors, Stobarts, have been excellent to work with and I can’t commend them enough. The internal works, which are the refurbishment of public areas, we are going to delay until after Ladies Day in July’ as time is running short to complete all the works in time for the Plate Festival in June, I dont think my ticker could take a delay for public and hospitality areas in the build up to Plate! We will display artists impressions of the refurbishment plans in various areas so that our customers can view the improvements over a period of time. Q. 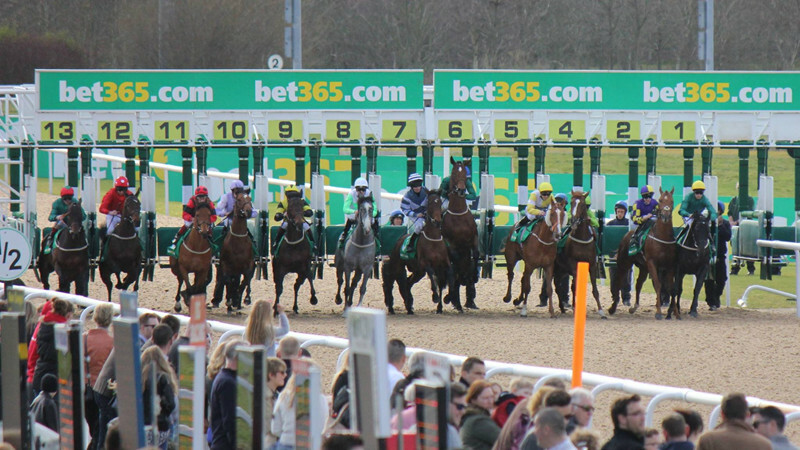 Have the racecourse got any further plans for improvement / redevelopment planned? Apart from the above, we have totally refurbished the Border Minstrel Pub which we are all very proud of, we will be moving to new Offices, as the current ones are now not fit for purpose for the size of the business, there will be a new Owners & Trainers area on the 1st Floor of Brandling House and very importantly, we will continue our recent announcement on the investment in Prize Money for both Flat and NATIONAL Hunt codes. 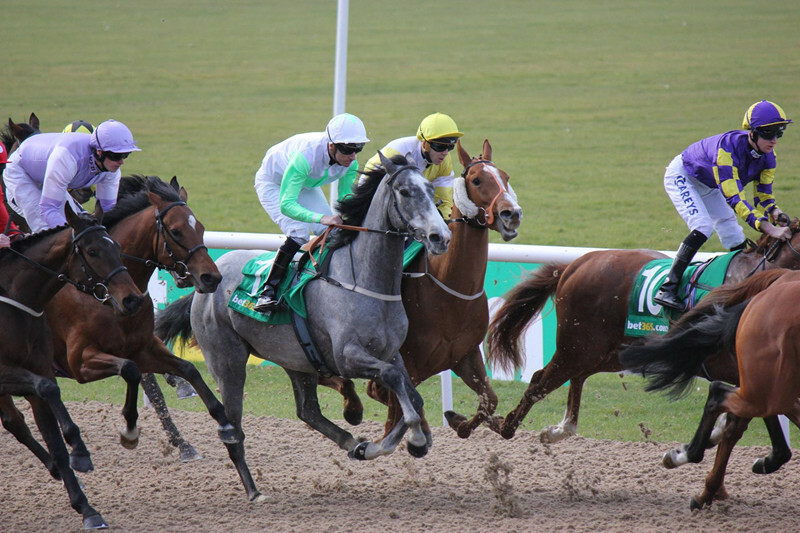 This is a hugely exciting time for this Racecourse! Q. 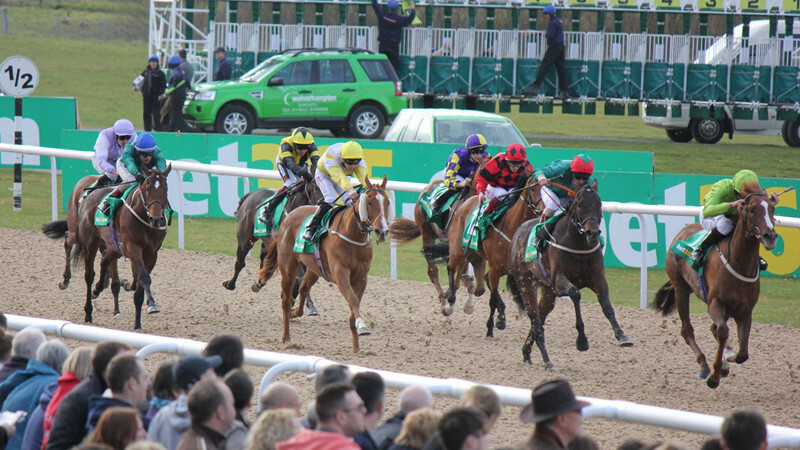 Music shows have been a popular addition to racecourse events and last year Newcastle played host to Spandau Ballet; how have these events been received since you started holding them and what has the impact been? The shows have been well received with Madness, Spandau Ballet, Lindisfarne and Scouting for Girls all playing after Racing over the past 2 years. The difficulty we have is that both football stadiums and the Metro Radio Arena are popular destinations for bands/artistes, so there is a risk in deciding on a band that will be attractive to a North East audience and who are currently touring. We are not having a music event this year due to the investment and development work but will certainly be looking at some events for 2017. We would love to hear any feedback from your members as to who they would like to see LIVE at Gosforth Park. Q. 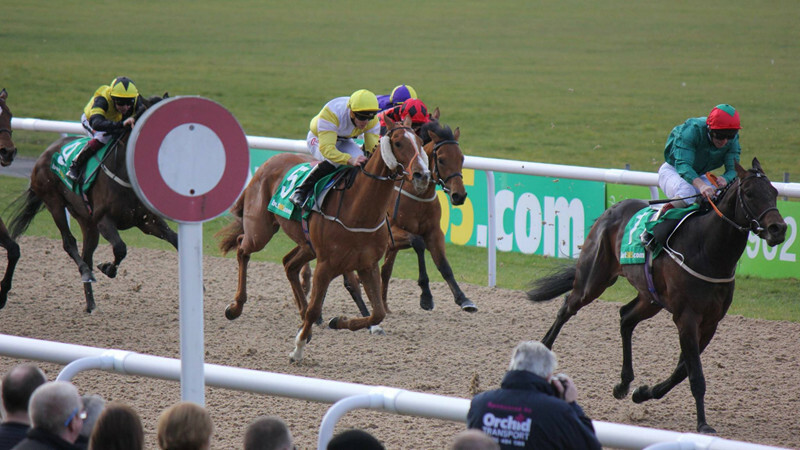 The most memorable race you have seen run at Newcastle? There have been many great races at Newcastle over the years and I am sure my Annual Members can relay great stories of famous horses running here, but my memorable one would be Harchibald winning the Fighting Fifth in 2004, to see Paul Carberry motionless in the saddle coming to the last was unbelievable, a great horseman knowing how good a horse was underneath him, quite inspiring! Q. 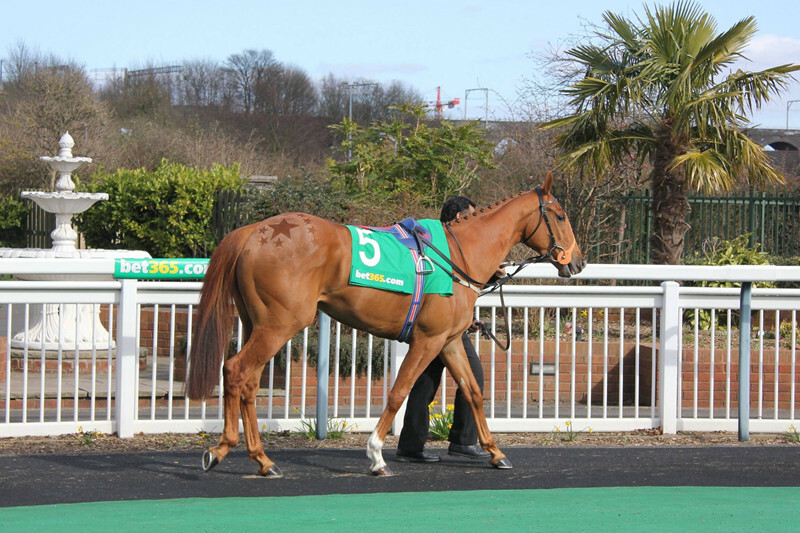 What was and is currently your favorite racehorse? 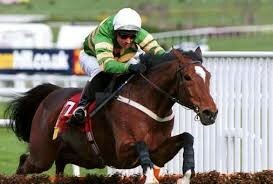 My favourite horse is, and always will be, Istabraq. My first visit to the Cheltenham Festival was his first Champion Hurdle win in 1997 and I fell in love with the horse that day. I witnessed his Champion Hurdle wins in 1999 and 2000 and unashamedly shed a tear when Charlie Swan pulled him up and he was subsequently retired in 2002. My office at the Racecourse and at home (much to my wife’s disdain!) have photos and memorabilia of Istabraq all over, there will never be another! Q. When you get some spare time, what are your interests or hobbies? I watch or follow all sport, I do have busman’s holidays by going to race meetings around the country or abroad (Hoppegarten in Berlin was the last visit), I enjoy Golf when I can find time and do read a lot of autobiographies, the latest read was Dan Carter the All Blacks Captain and Centre, great read! I also holiday every year in a little village in Croatia called Cavtat, which is just the perfect place to relax, so I look forward to that each year. 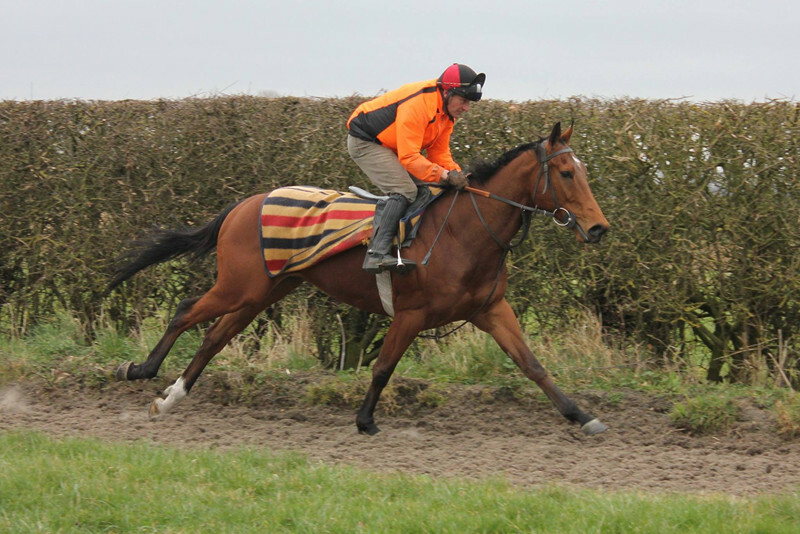 We had 3 runners this week and the action kicked off with Down The Line who ran on Wednesday at Haydock in the Racing Post Owners jackpot hurdle. From the off, Down the line had to be coaxed along into the race but Paul Moloney was facing a fruitless task and he was eventually pulled up on the second circuit. 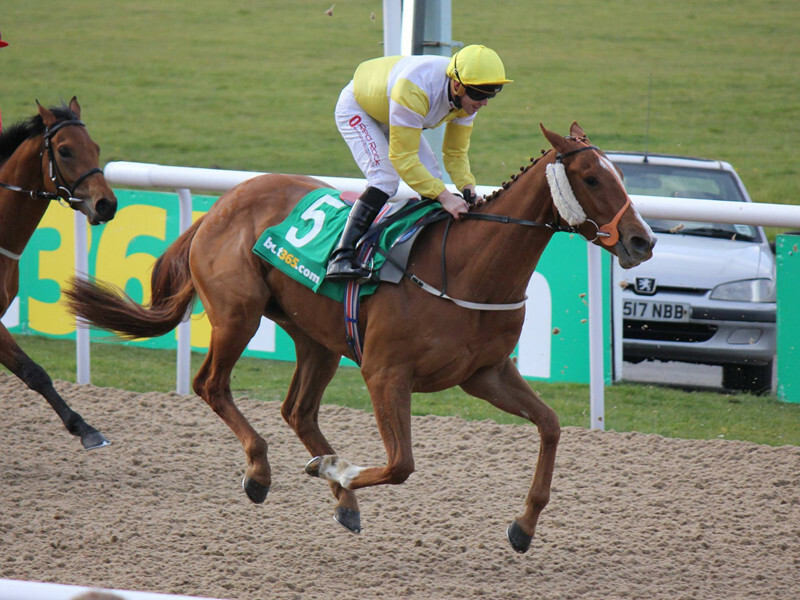 This was another disappointing effort from the Alan Swinbank trained 6 year old and after consulting with Alan, the decision was taken to retire Down The Line and we have since found a good home for him. Best of luck to his new owners. 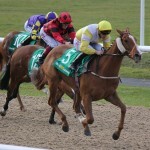 London Protocol ran on Friday at Wolverhampton in the 1 mile and half furlong Class 2 handicap where Ben Curtis took the ride. 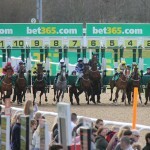 The race had a purse of £50,000 and attracted a stellar line up with London Protocol going off at a price of 18/1. From the off Ben settled LP in mid division, he was travelling really well on the inner and heading into the home straight , Ben asked him for maximum effort but he faded a bit and finished in 5th position, a very decent effort for his first run of the season. Ben was very complimentary about the horse afterwards and felt he didn’t love the surface but still felt he had a decent chance turning for home but he emptied a bit in the home straight. 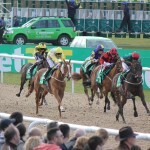 We had a fantastic crowd there and all of his owners had a good day out. London Protocol is a really exciting prospect for the season ahead and there will be plenty of good days out for him this year. Last up was Yeeoow who ran yesterday in the Class 2 Apollobet Casino handicap over 6 furlongs at Kempton where Joey Haynes took the ride. 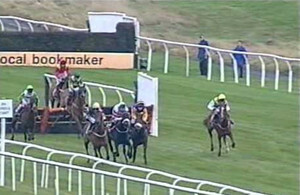 From the stalls Yeeoow held a prominent position and turning into the home straight, Joey asked Yeeoow to go on and he went into a share of the lead. 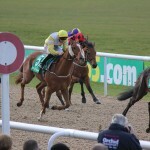 He battled on gamely and finished in 3rd position with the well supported favourite going on to score a shade cosily. 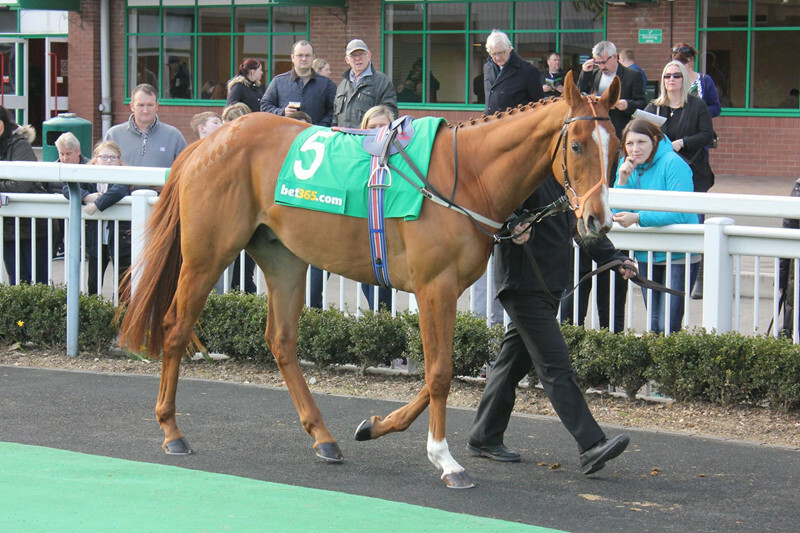 It was an excellent effort from Yeeoow and shows he can perform in big Saturday handicaps, his turn will come. 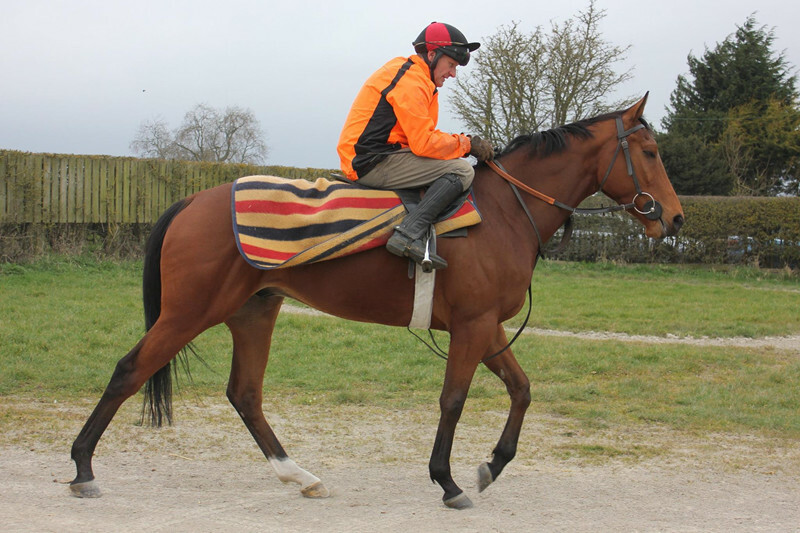 Our Sir Prancealot colt has now been named Vaux after our dear friend and colleague Alan Vaux who passed away suddenly last year. Alan was one of the original partners to support horses wearing the yellow and white silks, 16 years ago, along with Simon & some others. Alan was a true gentleman, he loved racing and always had a smile on his face; he is much missed and fondly remembered. Below are the latest pictures of Vaux. Peter Sword talks to OnToAWinner. Q1. How did you get involved in racing? I always liked horses as a young lad but never had anything to do with one, I used to go to Newcastle races with my dad everyone and then and loved it! 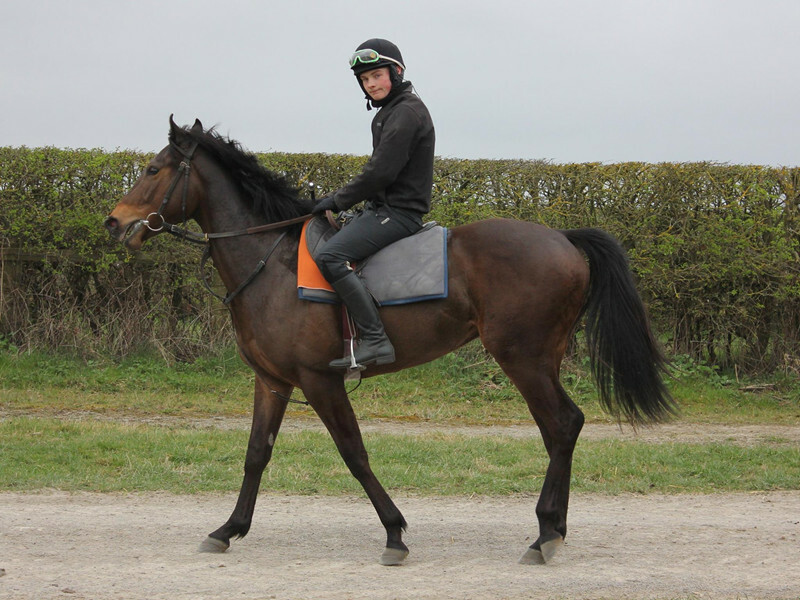 I hated school and wanted to leaves ASAP, I found out about the northern racing college in Doncaster and applied straight away for a place, I was pleased to be accepted and from then on I aimed to be a jockey even though I wasn’t to sit on a horse till I was 16! The lads at school used to joke about saying I was the right height for it but I never gave it a serious thought until I had finished school. 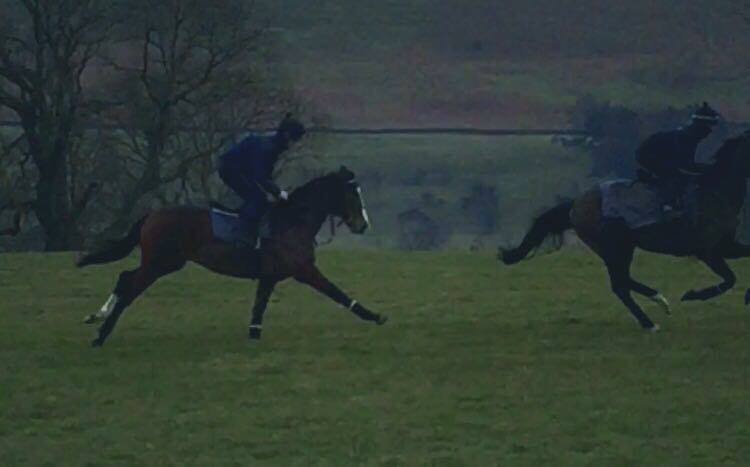 After a 3 month course I was extremely lucky to be offered a job with Luca Cumani. Q2. Which yards have I worked at? Well my first job was with Luca Cumani in Newmarket (a tadpole in an ocean! 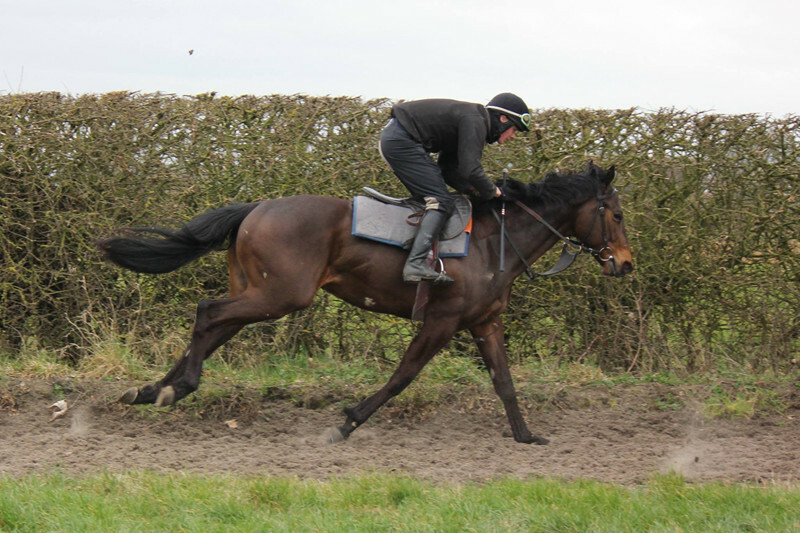 ), after a season I moved closer to home and joined Alan Swinbanks yard for another season, from then I joined Bryan Smart, where I spent about 3 and half years altogether and who I had my first ride for. My final job was with Karl Burke where I spent 2 fantastic years and wouldn’t have changed it for the world. Unfortunately due to the weight demands I had to end my race riding career, yet I was still a work rider for Karl up until December 2015. Q3. 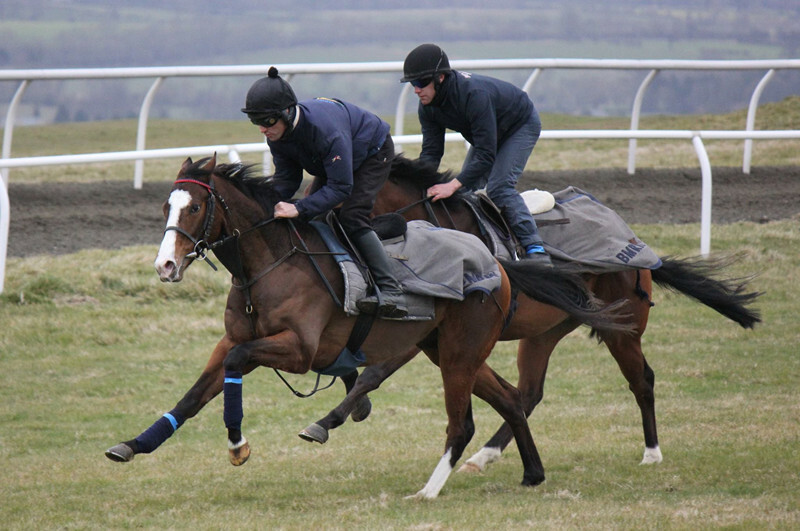 What is a typical day like working in a racing yard? Very early mornings! Majority of them being cold or wet! With it being so early there’s not much conversation though out 1st lot due to not many ‘morning people’! Usually the first 1 or 2 lots will be the older horses then 3rd and forth would be the 2yr old yearlings and colts…but everyone was glad to squeeze in a brew after 2nd lot (sometime would have preferred a whiskey after a complicated ride!). 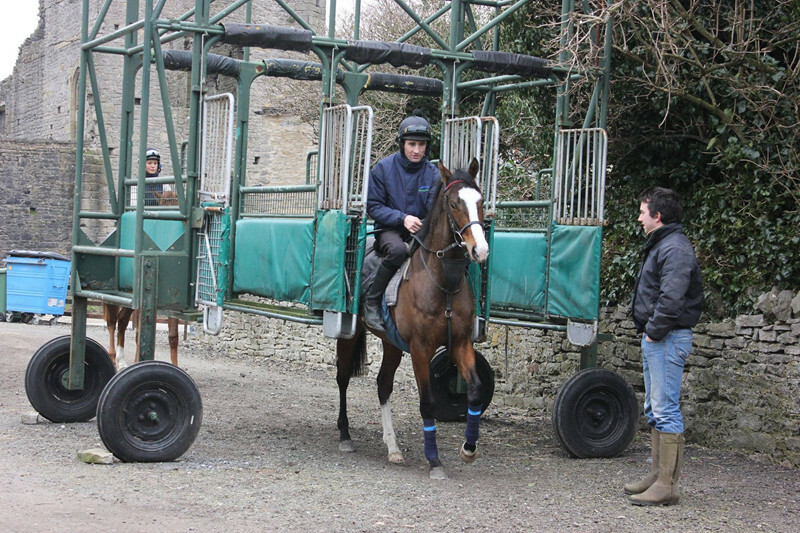 After each lot the guv’ner would ask for feedback on your horse I.e moving ok, breathing ok, how well he/she carried you to the top of the gallop or anything else you think the boss needs to know. Also after each lot you may have to give the horse a little wash down and a walk round just to cool them off after exercise. Usually after 4th lot has been dressed over and put back into their stables we would help the ground staff with tidying the yard up, things like sweeping, feeding, topping up the horses water buckets etc. We’d usually get about 3 hours off in the afternoon to go home for lunch and a much needed rest! Then return for evening stables at around 4 o’clock where each lad or lass would groom, hay and water each of the 4/5 horses they look after before again helping finish off the feeding and tidying the yard up. Everybody and then the boss would come and wonder round the yard just having a look at the horses while you groom them over but also have a bit of chat with the lads and lasses (in my case it was a chance for Karl Burke to give me stick about Newcastle United!). Q4. 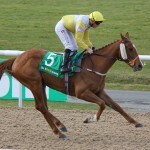 Did I try to adjust my riding style to be like any certain jockey? 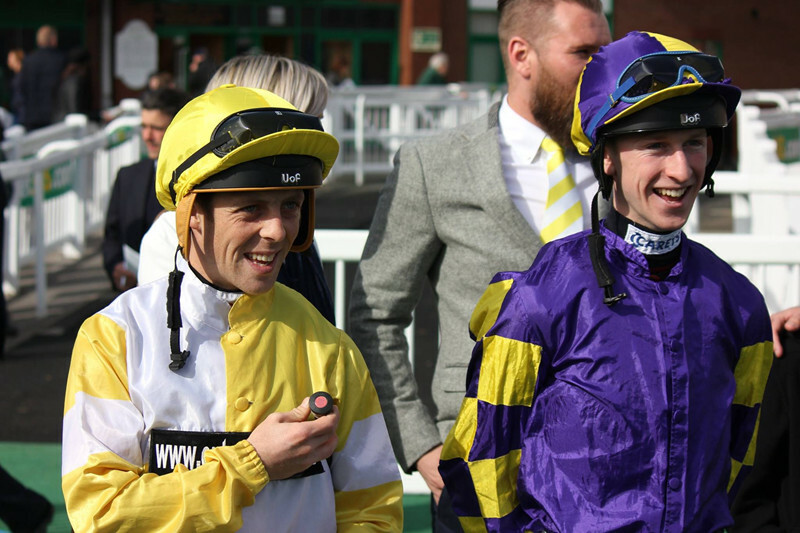 Of course every young apprentice wants to be like the big lads….I love the way Ryan Moore rides, his strength in a finish is unbelievable and you have to admire his coolness, he never panics! But you have to ride the way you feel comfortable, I used to ride slightly longer, yet other lads prefer to ride shorter. Everyone has to have their own style in my opinion. Q5. 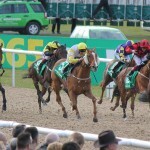 Which is the best horse I have ridden? It would have to be Bauer for Luca Cumani, a horse who was once placed the Melbourne Cup. 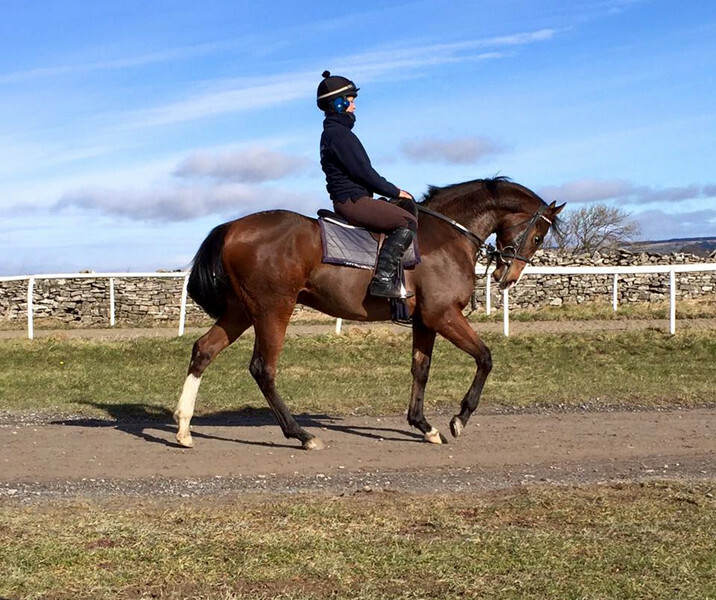 Or the Yellow and Whites very own Quiet Reflection….she’s already proven her class….but I think as a 3yr old she will strengthen and mature very well, I think she ouzes class and professionalism. Q6. 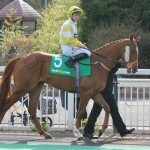 What has been my favourite horse? 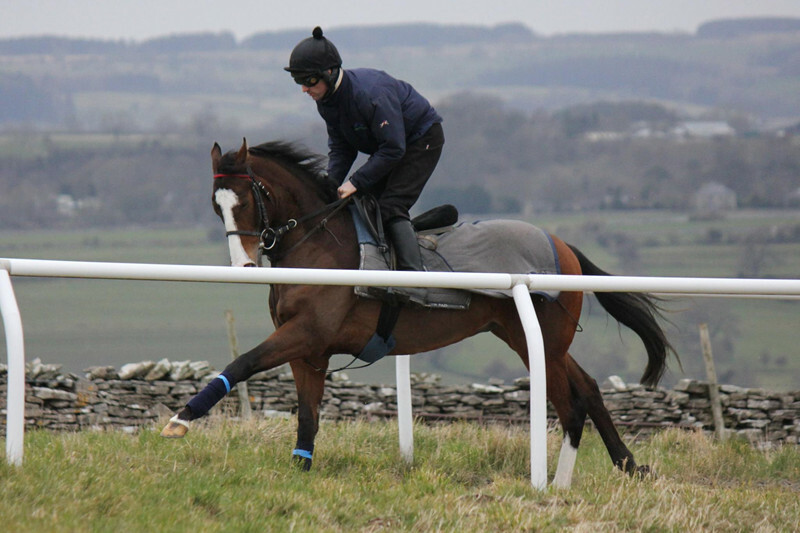 A fully called ‘What Say You’ bred by Gallileo X Alta Anna and trained by Karl Burke. 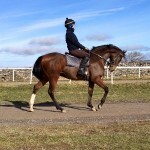 I rode this filly everyday since she was a yearling till 3yr old when I left Karl’s yard. I used to get p***ed off when Karl would let one of the pros ride her in a piece of work every now and then and I’d be jocked off!! Q7. What is my most memorable day when riding? 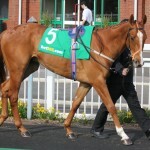 My first ride under rules on a gelding called Angaric, it was in a 6fl apprentice hcp at Hamilton. He won at 7-1. 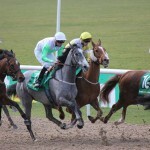 And I couldn’t have been more chuffed that I’d ridden a winner on my first ride! Q8. What do I miss most about not working in a racing yard? 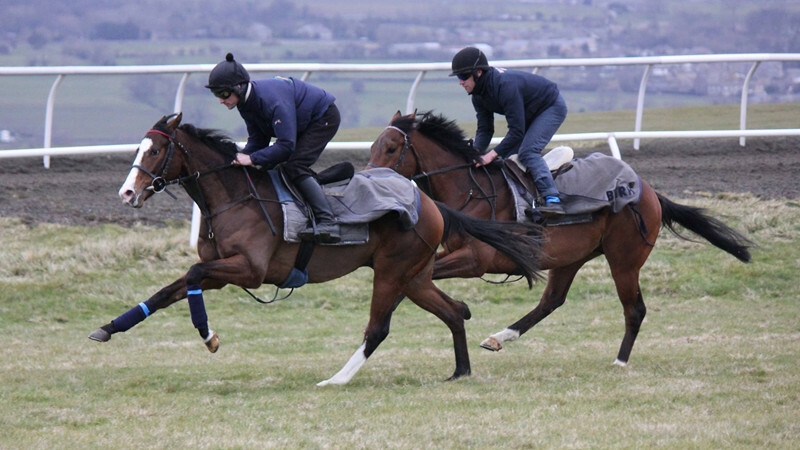 I miss the horses of course, riding work on a Tuesday and Friday, I miss watching a 2yr old that you’ve been riding and educating for months have his racecourse debut….and the rewarding feeling after watching them run well. Obviously I miss the craic around the yard with the lads and the boss etc. 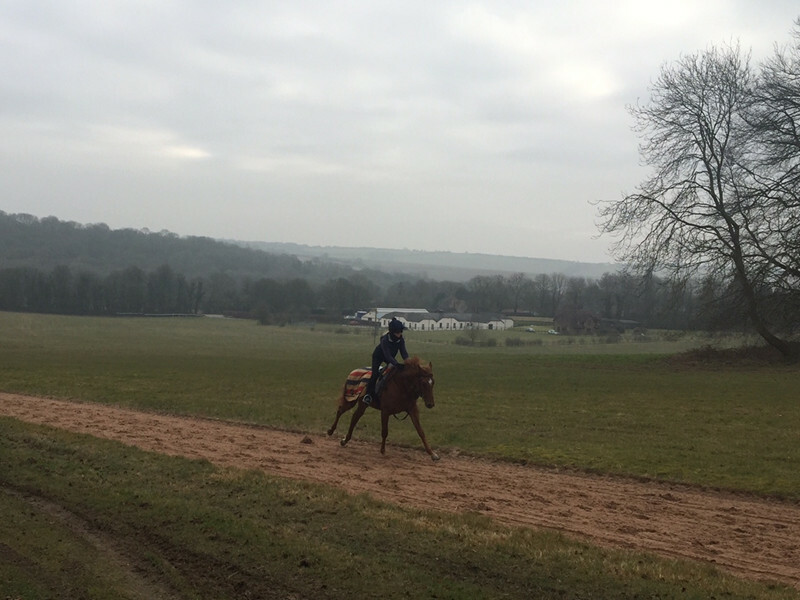 No matter what…it’s always a team effort, from the boss’ training, the work riders, the ground staff who keep he horses beds nice for them, to the person in charge of feeding. Everyone plays a part in each winner had. Q9. Where is the best yard you have worked? 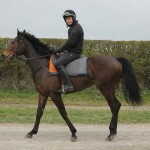 Without a doubt Karl Burke at Spigot Lodge. You are always made to feel welcome, the staff are so friendly and everyone works together. What I appreciated was the fact that at other yards I’ve worked at…I didn’t feel like I could walk straight up to the boss and have a general conversation about anything, but with Karl it was the opposite, he always has time for his staff. He makes sure everyone is happy, even on a cold, wet Monday! Q10. What is my most favourite food? It has to be Italians…..anything with garlic! If I’d had garlic the night before work, I felt sorry for the people I was riding out with!! Haha! Q11. What do I like doing in my spare time away from work? I am a mad Newcastle United fan (unfortunately). I try to watch every game possible. As well as playing the odd round of golf and spending time with my partner. Q12. Plans for the future? I’m still young I suppose….I’m looking to gain a qualification as a Cable Joiner and earn some good money to set me up for the future. Is miss working in racing a lot, but sometimes you have to do what’s best for yourself, I keep in touch with people from the yard and I make sure I give Karl a text after he’s had a nice winner, or to take the p*** when Newcastle beat his beloved Liverpool!! Cheltenham proved to be a fantastic spectacle that truly lived up to its hype, a punters paradise that saw the majority of short price favourites win and resulted in bookies running for cover. Sprinter Sacre captured a nations heart and came back to win the champion chase, what a training performance by Nicky Henderson. 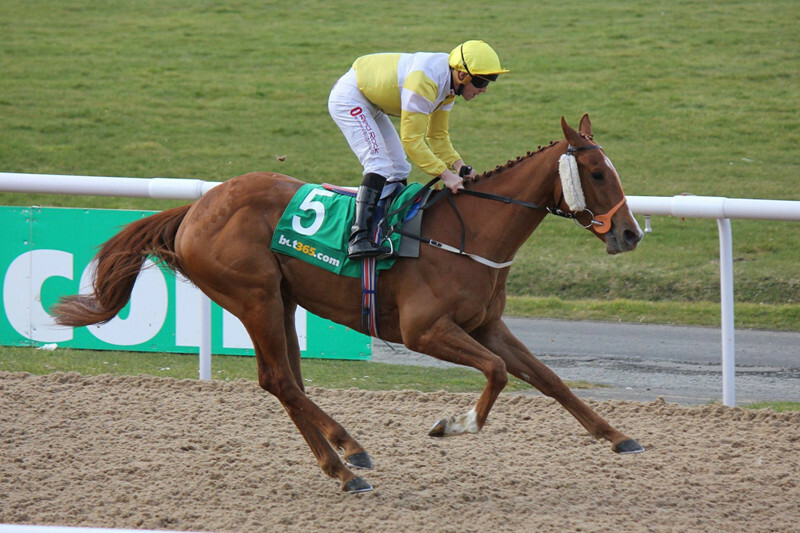 Thursday and Friday saw accumulators land and well supported favourites win, finishing with Don Cossack landing the big one for Gigginstown and Nina Carberry scoring on the Enda Bolger trained On The Fringe, adding insult to injury for the bookies – a bashing of the highest order! It was no surprise to see Willie Mullins dominate but we also saw the emergence of a future generation of talented trainers with Joseph O Brien, Dan Skelton and Harry Fry all having winners, a fantastic festival from beginning to end! 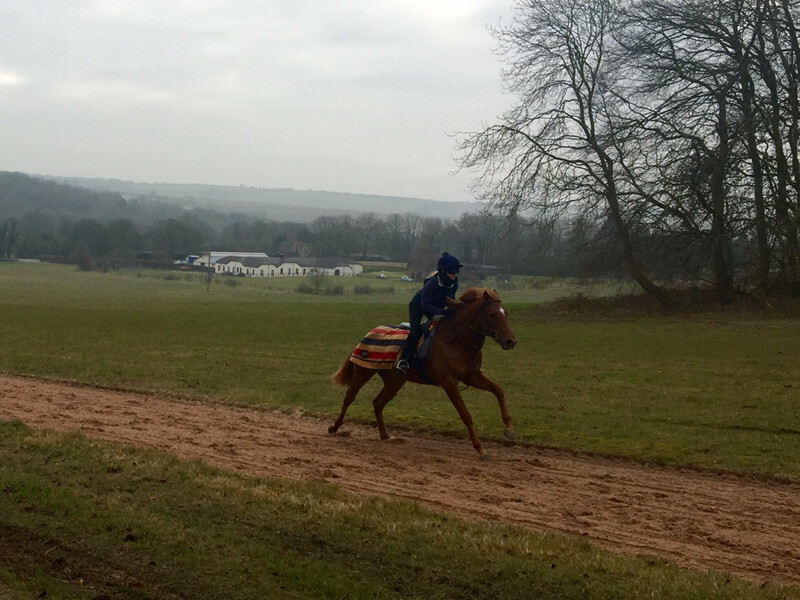 Below are the latest pictures of our Sepoy colt called Mutineer who is in training with Daniel and Claire Kubler. 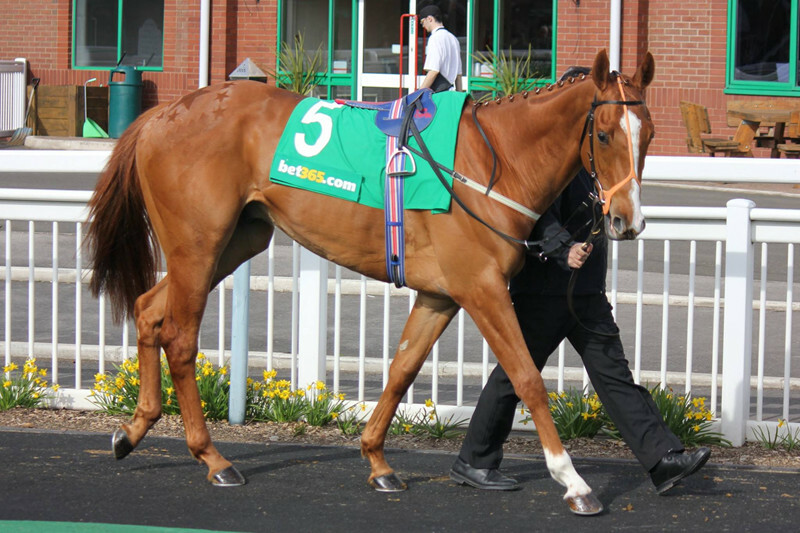 Sepoy was superstar racehorse in Australia, winning 9 stakes races and over £2.4 million pounds in the process. He was rated the highest two year old for 35 years, at three he went on to be the World Champion sprinter and was the highest rated three year old sprinter ever in Australia. 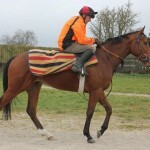 Our colt has been very well stamped by the sire and looks fantastic ahead of the season. 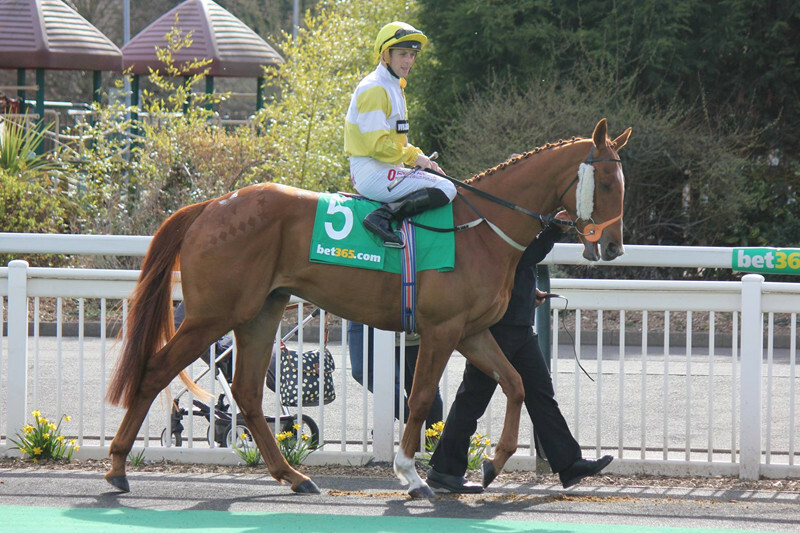 If you are interested in any of our horses, get in touch and we can call you and go through some options, if you are in any doubt, you can read testimonials here. 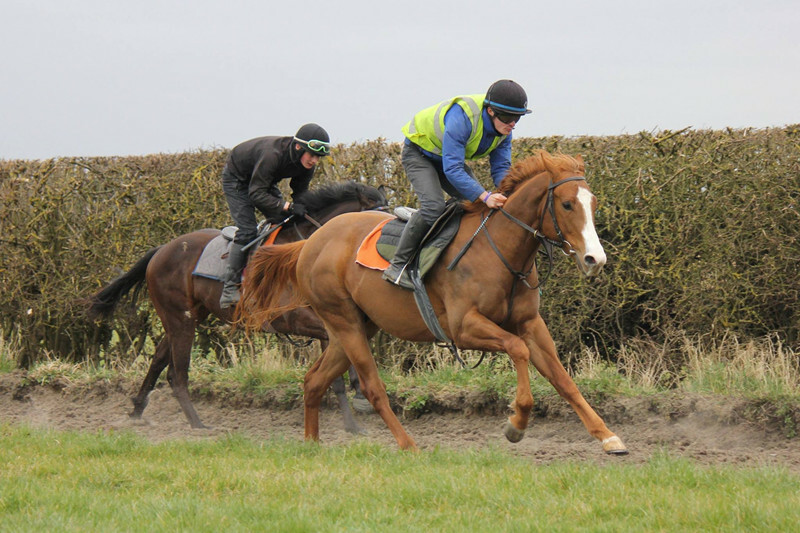 We had 3 runners this week and the action kicked off with Monpazier who ran on Monday in the 6 furlong, class 5 Maiden at Wolverhampton. From the off Monpazier was outpaced and showed signs of greenness and Joey wasn’t too hard on him and let him come home in his own time. 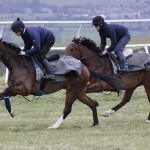 Monpazier won’t be a 6 furlong horse and we can put a line though that run. 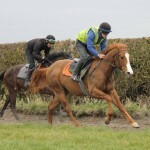 He is likely to need a mile and there will be plenty of options for him once he gets a mark. 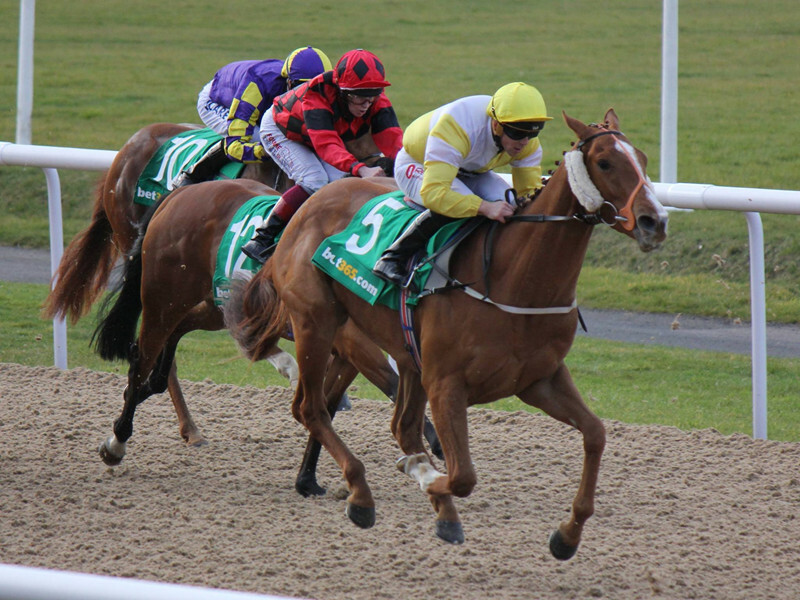 Next up was Vodka Red who ran on Tuesday at Newcastle in the conditional jockey’s handicap where Thomas Dowson who claims 5 lb took the ride. 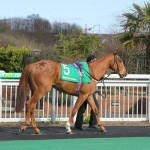 Vodka Red jumped well and travelled very nicely throughout the race. On the turn for home Thomas asked Vodka for more effort but he blew up due to his lay off and finished in 3rd position. He will come on for that run and a win can’t be too far away based on that evidence. 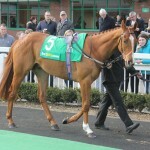 Next up was Abi Scarlet who ran on Thursday in the 7 furlong class 5 event at Southwell. Abi was outpaced early on and never figured in the race. It was a disappointing performance from Abi who ran really well on her last run. The countdown to Cheltenham is well underway now with the iconic National Hunt festival kicking off on Tuesday. 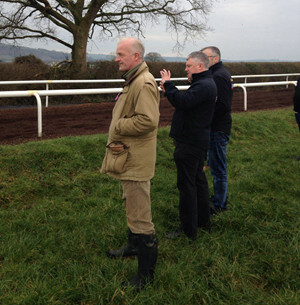 The OnToAWinner team had the privilege of visiting Willie Mullins superb Bagenalstown operation a couple of weeks ago to see his Cheltenham string work, what an experience! 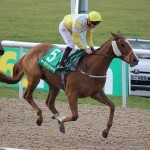 Willie, Ruby, Danny and all the team were fantastic hosts and the cavalry of equine superstars made it a day to cherish. 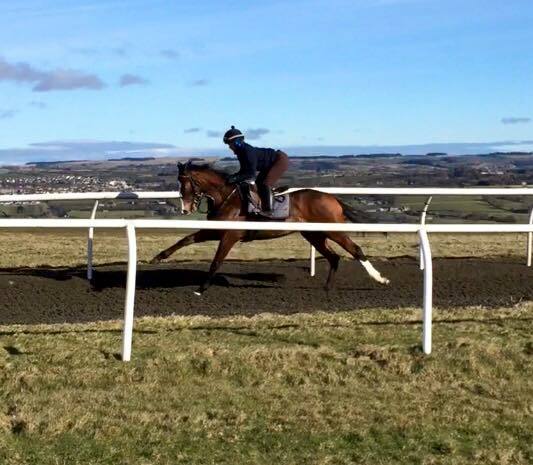 OnToAWinner would like to thank Willie and his team and wish them all the best for the 2016 Cheltenham festival. 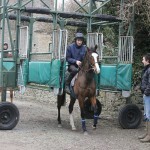 Keep an eye out for our weekly updates on all of our horses and much more.